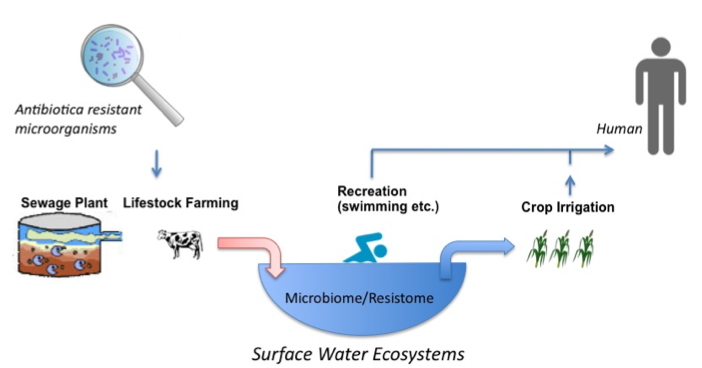 Given the serious public health threat posed by antimicrobial resistance, it is important to investigate the potential role of surface water in amplifying the emergence and spread of antimicrobial resistance and to assess the potential associated risk to human health. Research into the occurrence, fate, effect, and risk associated with the presence of antimicrobial resistant bacteria in such environments and the impact on human health is urgently needed for informed policy decisions. TRACE will develop detection technologies that allow for a simpler on-site detection of antibiotic resistance, thereby enabling a much higher throughput and faster result-to-user turnaround. This will allow for an increasing number of measuring points, as well as a higher frequency of measurements. Extending this instrumental development for water system characterization, also fast and robust on-site tests will be developed in order to enable simple and timely testing. Despite current advances in the field of detection and portability, there is still a huge gap between bench and location when application and validation of these systems are concerned.